Alia Bhatt and Ranveer Singh have just returned from Berlin after the screening of their upcoming film Gully Boy and have resumed the promotions of the movie. They were snapped at a promotional event giving out cool vibes today. 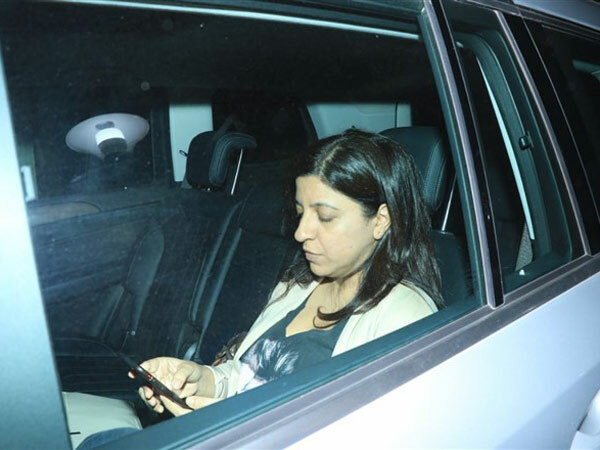 Later in the evening, Zoya Akhtar was snapped attending a screening of Gully Boy at Yash Raj Films. Nita Ambani and Mukesh Ambani visited the Siddhi Vinayak temple today to present the first wedding invitation card at the temple. Sonam Kapoor looked absolutely chic as she visited a studio in Bandra. See the pictures! Alia Bhatt and Ranveer Singh’s film Gully Boy just screened at the Berlin International Film Festival, and the two are back in India promoting the film Alia and Ranveer gave out really cool vibes during a promotional event of the film today. Stunning in a floral printed shimmering baby doll dress, Alia made heads turn. Ranveer, true to his style, sported a colorful zip up jacket with a white tee and green pants. His multi-colored shoes stole the show though. Gully Boy director Zoya Akhtar too returned from Berlin today post the screening. A special screening of the film was held at Yash Raj Films today which Zoya was seen attending. She sported a casual look in a black t-shirt, white cardigan and denims. 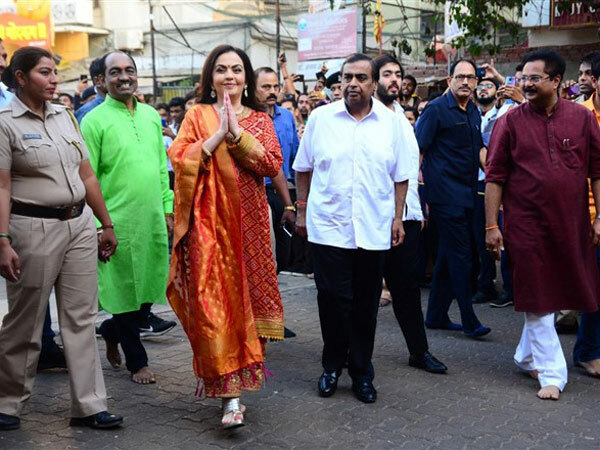 Nita Ambani and Mukesh Ambani visited the Siddhi Vinayak temple today to present the wedding invitation of their son Akash Ambani. Nita looked elegant in a bandhani style kurta and palazzos. Their son Anant Ambani accompanied them to the temple. Just in December, Nita and Mukesh Ambani’s daughter Isha Ambani got married to Anand Piramal in a lavish ceremony which was attended by many stars from Bollywood. It was the talk of the town for a long time. Sonam Kapoor is a bonafide fashion icon. Today, she looked absolutely chic as she was snapped by the paparazzi at a studio in Bandra. Sonam looked gorgeous in a maroon pant suit which she teamed with a matching blazer. Sonam has been reveling in the success of her latest movie, Ek Ladki Ko Dekha Toh Aisa Laga, which also stars Rajkummar Rao, Anil Kapoor and Juhi Chawla.